Telemarket THISWe all hate telemarketing, don’t we? I hate them too, and thankfully, I don’t hear them a lot around here. However, there used to be a time where some newspaper that I was subscribed to nagged me almost weekly, trying to get me to re-subscribe. When all my requests to be removed were ignored, I decided to take a more aggressive tactic. Here’s the trick: When you pick up the phone, and someone asks for or your spouse by NAME, don’t confirm or transfer. Ask “who is this, please?” Even the slimiest telemarketers will answer truthfully to this. At this point, don’t just ask to be removed…give them a reason that will get them running. It might be something appropriate, if you’re a good improviser. For example, if they are offering you a TV or newspaper subscription, tell them that you have suffered an accident and have gone blind. If it’s a phone company, tell them that you’re the person’s brother/son/caretaker and that the person cannot answer the phone because his ears were injured and he is now deaf. If you just want to make it quick, tell’em the person is dead. Killed in a car crash works well. Make sure to stress how painful it is and ask the telemarketer “Can you imagine how such an offer makes us feel at this time? Please don’t call back”. Make sure you repeat their name – most of them will be scared of a lawsuit and will take you off the list right away. Don’t overdo it, by the way. Don’t go into details, so they won’t think it’s a prank or a shake-off. Speaking of aggressive marketing – many companies will sell your address to just about anybody. 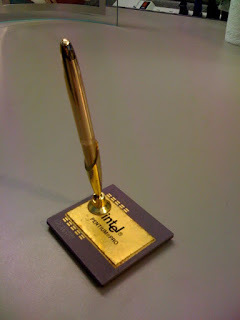 In fact, many of them will lure you in with free gifts or very cheap merchandise, just to get an address. A big customer list is an expensive thing and selling your address to multiple buyers is a good and steady income. Well, other than being paranoid and not giving the address, of course, there’s one more technique I often use. When I do need to give an address – I add a little extension to my last name, to link it to this business. For example, if make an online purchase at Jimmy’s Flower’s, I’ll list my name as “Erez Ben Arijf”. The JF at the end signify “Jimmy’s Flowers”. It won’t interfere with the mail delivery, but if, at a later time, I get a letter from another company, I’ll know exactly who sold them my address. If I can do something about it is uncertain – that depends on local laws and things you might have agreed to when signing up originally, but at least you’ll know. It’s a good idea, of course, to keep track of these addresses, as you might forget what BS stands for in a year. 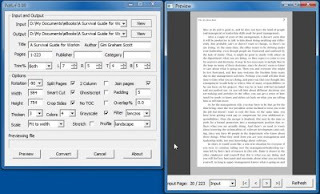 A similar idea is for Email subscriptions. Since free accounts are a common thing, you can create a new account whenever you need to provide your Email, and set it to forward to your day-to-day account. If you start receiving spam, you can see it was forwarded from the Email headers, and stop the forwarding from that account. 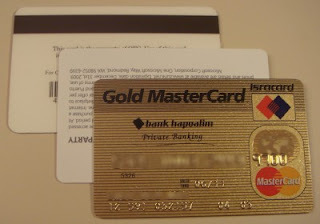 You should also use an address from www.mailinator.com wherever possible. Mailinator is a service that receives mail to ANY box at @mailinator.com and saves it for a short time. It’s good when you need to give SOME email, and works well for a single-time use, like when making an online order. Knives come in all shapes and sizes, but this recipe is for an unusual one – a knife concealed as a credit card. In the movie Glimmer Man, noted martial artist Steven Segal used one to surprise-attack a group of mobsters. 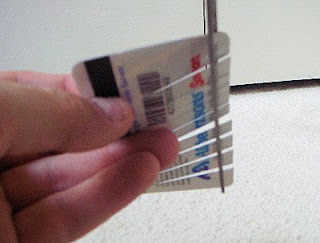 Such a knife is not really hard to do, just be careful about carrying it in your wallet. If it gets picked up by the airport scanners, you could get in trouble. 2) Get a snap-knife blade of the slim type (also known as a “Japanese Knife” blade). 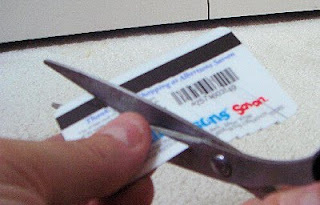 3) Cut the 3rd card to shape as is illustrated in the image. 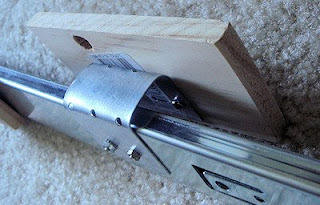 The idea is that the hole in the blade will be secured using an axle and when rotated, will protrude down about ½ of an inch. 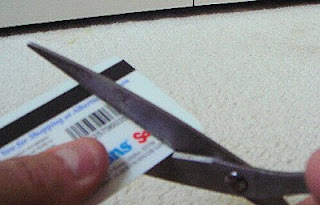 4) Cut the bottom card (no. 2) as is illustrated in the image. This hole will be used to extend the knife, and hold it in place. 5) Cut a hole in the 1st and 3rd cards, about 1/16” wide. Try to make the holes exactly above each other. This will be used to hold the axle that holds the blade in place. 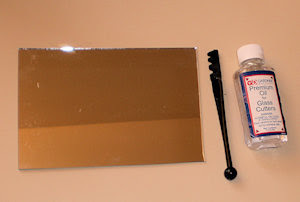 6) Using simple contact glue, glue the bottom card (no. 3) to the middle shape (card no.2). Try to make the gluing as clean as possible, with no glue traces on the contour lines. 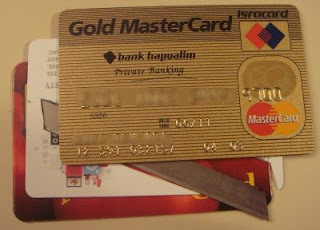 7) Place the blade in the cavity that’s in the 2nd card. 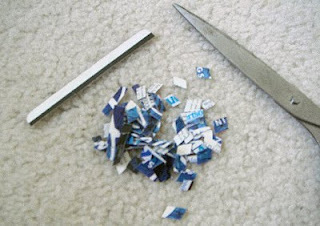 8) Glue the top card (no.2) to the middle one, and again – try to make it clean. 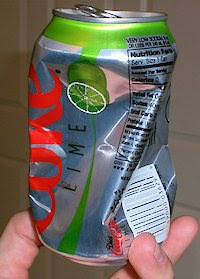 9) Use a piece of soft plastic as the axle, and insert it through the top hole, the blade’s hole, and the bottom hole. 10) Cut the axle so that it protrudes only about 1/16” to each side. 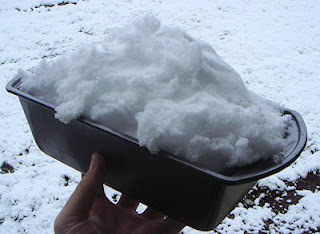 11) Using something hot, push on the axle’s ends, and flatten them. 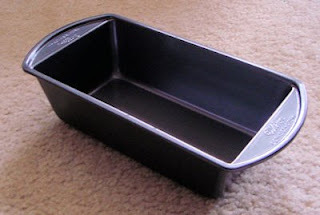 This can be done with a soldering iron, but works just as well with a large nail’s head, heated over the stove-top. Ideally, the outcome will be an H shaped axle, as flat as possible on the credit card. 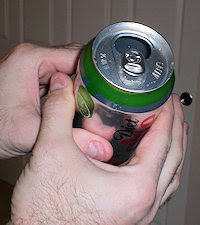 12) Now, use your finger to push out the blade and hold it in place. Practice extending it quickly and holding it steady. Keep in mind that the blade is really sharp, and if you keep the knife in your pocket or wallet, it has no safety and can extend and cut the wallet or wound you. I’ve already discussed 3D photography on my last entry here, but this time I want to talk a little more about making things easier. The trick to 3D photography is taking two pictures, with the camera a certain distance apart in each one. 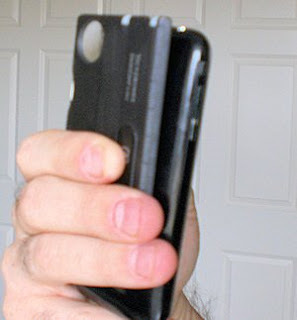 If your hands are stable, you can just snap one and move the camera, but a better option is to use some sort of camera mount to help you along. Using some simple items from the Lowe’s, you can build a special camera slide for 3D shooting for less than $20. Here’s how. The main component is a ball-bearing drawer slides. 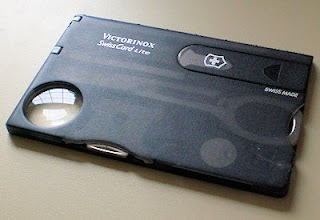 By attaching a pair of cameras to a slide, you can easily move the cameras in parallel. My slide mount was built using a D806 16” slides, which sell for around 12$ in hardware stores. You will also need some 3/8” thick wood, some tee-nuts and “key” screws, a flat metal attachment plate, as well as some other smaller screws. 1) Attach the thin part of the 1st slide to the 2nd using small nuts and bolts. The nuts and bolts should be small, so as to not interfere with the closing of the slides. 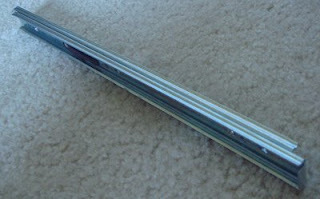 This essentially creates a single slider that can be extended from 16” to 47.5”. 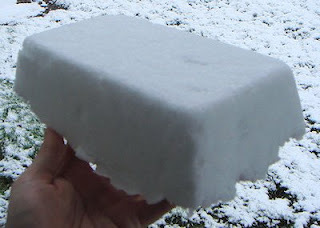 1) Saw the 3/8” thick wood into 3 pieces – 2 of them about 4” long each, and a 3rd about 2.5”. The ideal width of the board is about 2.5”, but that does not have to be exact. The longer pieces will hold to cameras to the slide, and the 3rd will hold the slide to a regular tripod. 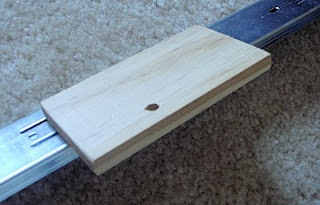 2) Attach one of the two long wood pieces (Approx 4” long) to the slide, using small wood-screws. 3) Bend the metal attachment plate to a U-shape, roughly 1.5” wide. This piece will attach the 2nd camera to the bottom part of the slider. 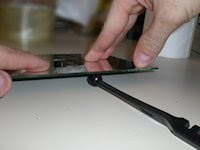 4) Using small nuts and bolts, attach the plate to the bottom slider, at about the 5”-6” of its length. 5) Attach the 2nd long wood pieces to the U-shaped attachment plate. 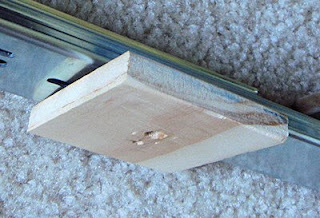 Ideally, the wood pieces should be touching each other when the slide is in a closed position. 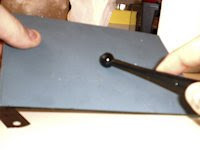 6) Drill a ¼” hold in each wood plate, through which you will insert the key-screws and attach the cameras to the slides. You can use basically any ¼” screw for this, but key-type screws will allow you to attach and remove the cameras at will without using tools. 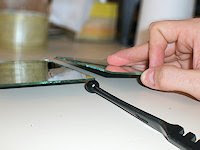 You will also have to use a thicker drill-bit, about 6/16”, and widen the bottom-part of the hole, to allow the key-screw to get in a little more; otherwise it will not be able to reach the camera. It needs to protrude above the upper surface of the wood piece for about 2/16”-3/16”. The location of the hole would be in accordance with your cameras, in order to place them in the middle of the board. This does not have to be exact. In my setup, the screw hole is at the back-side of the wood, so the entry point is at the back, allowing me easy access to remove the cameras. 7) Drill a similar hole in the smaller wooden piece, exactly in the middle, and hammer-in a “tee nut”. If you have chosen too-soft wood, it might buckle under the pressure, as the slides can be quite heavy. Turn the wood up-side-down, and attach it to the bottom of the slide. Make sure the tee-nut is hammered in at the TOP of the piece of wood, as it is supposed to be supported by the wood against the pressure from the tripod screw. The screws that attach it to the slide need to be strong, so as to not get pulled out by the weight of it all. In fact, when the slide is fully extended, it will be much heavier on one side, so support it with your hand, or another tripod to make sure it doesn’t fall apart. In fact, make sure your tripod is sturdy and heavy in the 1st place. To use this, an ideal setup would include two identical cameras, and you would pull them apart on the slide to a distance that’s 1/30 of the distance from the camera to the closest object seen in the photo. Pressing both shutters simultaneously is key to getting a good picture for moving things like people, animals or traffic. Having less and less advantages to offer over home cinema, the movie studios have come up with a new plan to draw us to the movie theaters – 3D movies. With movies like Monsters and Aliens, Avatar, and many others, looks like 3D photography is going to be, if not successful, at least mainstream. Shooting in three dimensions may seem difficult, but in fact it is quite easy, and anyone with any camera can do it – even a phone camera. Taking the shots is rather easy – all you have to do is realize the way the human vision works – each eye gives the brain a little different angle of the world, and the brain analyzes the difference to know the distance of everything from the viewer. If you compare the image seen by both eyes, by blinking with alternating eyes, you will notice that things are “shifted” left or right, and the close something is, the more it is shifted. To get this effect, all you have to do is take two pictures with your camera in a similar fashion – take one picture for the left eye, and another for the right one. Taking a picture this way is simple, but the distance you move between the left and right image is important – if you move too little, the image will be flat, and if too much, the image might cause dizziness. 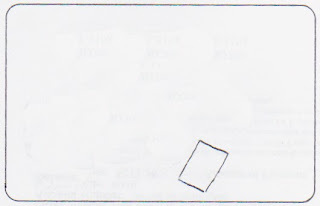 To calculate the optimal distance, measure or estimate the distance between yourself and the closest object seen in the image, and divide that by 30. For example, if you see a bush in the front that is 15 feet away, then move 6 inches between the images. You should strive to keep the camera as level as possible between shots, and try to have the farthest object in the picture “move” as little as possible. This is easy if your Camera has a focus assist dot or cross onscreen – note where that cross touches, and after the move, aim the cross at the same point. This is not critical, as all these can be corrected later on, but it saves some trouble. 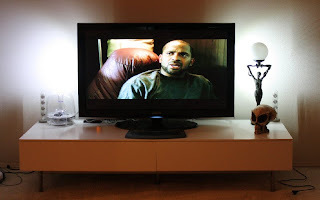 The biggest challenge of using this technique is that if something in the picture moves between the shots, it will appear weird in the composed 3D image. Taking pictures of inanimate objects or views is simple, but shooting people, animals or traffic is almost impossible (you can ask an adult to stay still, but that rarely works with a busy city intersection…). For this, the solution is to use two cameras, and take the photo simultaneously. It is important to have the cameras of the same model, or at least with the same lens, as different focal length will make the final images almost impossible to align without extensive graphics processing. Another option is to use a special 3D adapter, such as the one offered by Loreo. This adapter “splits” the image coming into the camera with a prism, creating the image at once. 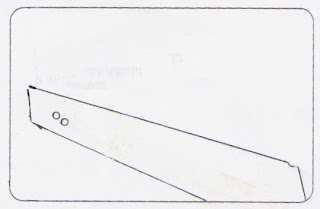 The main disadvantage to this is that the distance is fixed, so it is optimized for close-range shots. Recently some other equipment came to the market – the Minoru, which is a 3D webcam designed specifically for this. The quality is far from great, but this is nice to have. Soon, Fuji is planning on releasing a 3D digital camera, and I imagine many others are working on this as well. Once the stereo pair is ready, the next challenge is to show the image correctly. The key here is to give each eye its own separate picture. The traditional way is using red-blue glasses. This is not perfect, as it distorts the color and if there are objects that are blue or red originally, they might appear “blinking”. 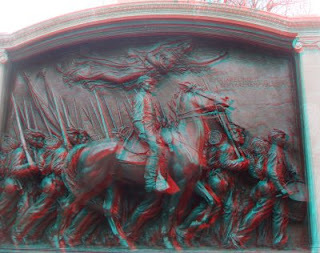 Nevertheless, this is still the simplest way – download Stereo Photo Maker (http://stereo.jpn.org/eng/stphmkr/) and use it to combine the shots into one – the red/blue glasses are easily available online, usually for less than a buck for a paper-based pair, and there are higher quality glasses for little more. 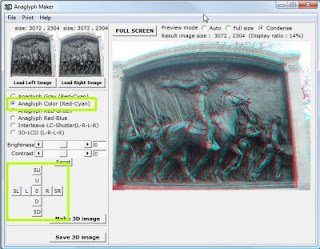 The software pictured below is another one, but all of them allow you to calibrate the picture position to achieve the best results. Another way, which I won’t detail here, is to use Lenticular lens. This entails creating an interlaced image that combines both left and right images, and then placing a special sheet that contains thousands of narrow lens that project the slices into the eyes separately. This might be familiar to you from advertisements that have been popular recently. A Lenticular lens sheet costs about 5$ for a 4x6 image, and if you buy enough of them, it can reach less than a dollar. Unfortunately, Lenticular for personal use is still quite rare, so they are hard to find unless you are willing to spend 200$. Fixing an electronic appliance would seem, for most, a very scary task. How could one find a problem within all those colorful wires and tiny parts? Well, this is indeed not very simple, and there’s a reason technicians study for years to do this job, and are often good only after several more years of gaining experience. 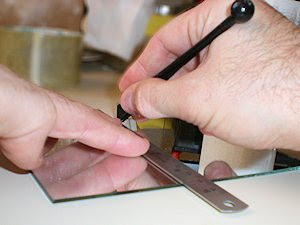 However, there are a few minor repairs that even the layman might perform by himself, and save a lot of money. One very common problem with a lot of electronics in recent years is exploded or burst capacitors. This happens because most makers opt for cheaper capacitors. These capacitors tend to be unable to handle the load and they burst, which can sometimes even be heard as a small “pop”. In some cases a device could work for years without a hitch, but sometimes an entire production series could quit working very shortly en-mass. For example, the OptiPlex GX270 and GX280 series desktop computers by Dell, that went on sale around 2004 and onwards suffered this problem, which forced Dell to recall all the motherboards and cost the company 300 Million dollars. If you’ve found one, you might try to replace it. This can be done in a few minutes, and In many cases, will make the problem go away. WORD OF WARNING!! !Opening up electronic equipment is not only tricky, but can also be dangerous! Some devices might hold a charge for weeks after disconnecting them from the socket, and touching the wrong thing can kill you. This is common with CRT monitors, for example, so be careful, and if you really never soldered anything, you might consider doing this with someone who has some experience, or even drop the idea completely. c. Form – Axial or Radial. 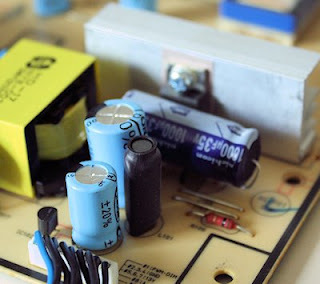 In most household appliances, the capacitors will be quite small, measuring at around 10-40 Volts, and several hundred Micro-Farads (printed us µF). A Radial capacitor has both its connectors at the bottom, while an Axial one has the connectors protruding from its ends – like a skewer. For most repairs, you could use any capacitor, as they have long-enough leads that will allow you to bend them into a shape that will fit the board. 2) The 2nd step is getting the right capacitor – It’s not always easy to find the correct capacitance and voltage, but it’s OK and even recommended to get ones that are of higher value than the original. For example, an original 680 UF/25V capacitor can be safely replaced with a 1000 UF/35V. Don’t go too wild, though, and be sure that the new capacitor you buy fits inside the case, physically. You can typically find capacitors at Radio Shack, Fry’s or online, although the Shack have only a very limited selection. 3) The 3rd step is to remove the damaged capacitor/s. 1st, note the polarity of the current capacitor, indicated as a colored line along its axis, or a + and – signs at the poles. 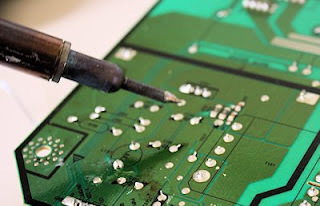 To remove the capacitor, turn on your soldering iron and heat up the contacts on the reverse side of the board and use a solder vacuum or soldering mesh to clean up as much of the solder you can. If you’re lucky, you will then be able to pull the old one straight out. If you’re less lucky, you might have to pry it out slowly, while applying heat to the contacts. Be careful, as the capacitor might heat up and burn your fingers. 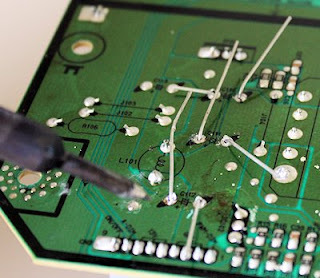 Sometimes there might be glue on or around the capacitors, and that gets in the way, so try to remove it gently without ripping anything out. Something that is very help is “helping hand”, which is a heavy metallic stand with clips to hold the board in place while you work on it. Some models even have a built in magnifier. 4) Once the old one is out, clean up the contacts with a soldering vacuum to expose the holes in the board, and insert the new capacitor into position. Heat the contacts and apply some solder, taking care not to use too much so it won’t leak onto other areas of the board. Be careful not to wiggle the capacitor while soldering, to prevent “cold” solders or fractures in the solder. 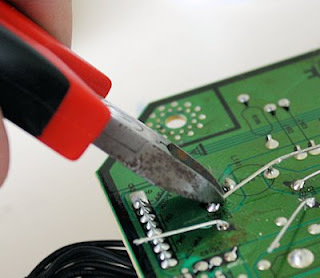 Don’t forget to cut-clean the extra wire that remains of the capacitors contacts. 5) Once done, put back the device together and test it – be sure that when you connect it to the wall jack, don’t touch any exposed metallic surfaces. If you’re lucky and the problem was indeed caused by the faulty capacitor and it alone, the device will go back to life right away. Keep in mind that the new capacitor you’ve put in might also burn out one day, and the procedure might have to be repeated. 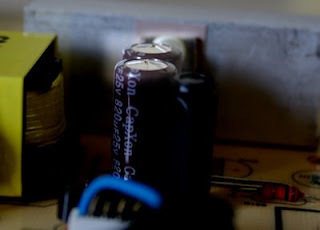 To make things safe, better buy a good capacitor, and don’t settle for the cheapest kind – usually, even the best capacitor won’t cost more than a dollar or two, although you might need more than one to repair a device.